Blu-ray Review: ‘Peter Pan’ 65th Anniversary Signature Edition! Five years have past since Disney opened the vault and let loose their animated ‘Peter Pan‘ movie. In 2013, it was the 60th Anniversary Edition Blu-ray. Now, it’s 2018, and we have the 65th Anniversary Blu-ray Signature Edition. This is the same exact Blu-ray release from 2013, but with a few new bonus features and different cover art. Both the 2013 version and this 2018 version come with Digital Copies, which is good, along with a DVD version. If you have the previous edition, there’s really no need to re-buy this one, unless you’re a huge fan or want the new bonus features, which will be listed out below. It’s the same film, the same video and audio presentations as well. 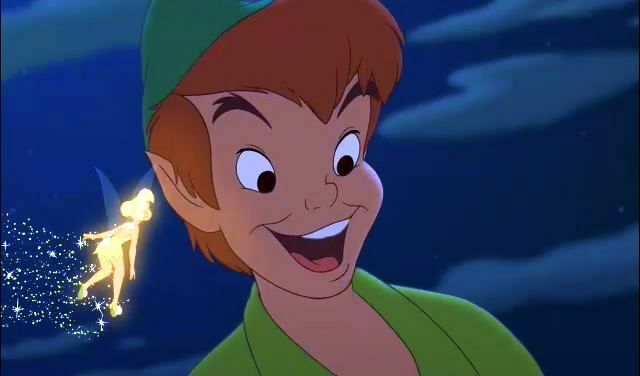 People often make remarks that I am a bit like Peter Pan. Michael Jackson once referred to himself as being like Peter Pan. And I’d like to think that sometimes when we are all alone, that our inner child comes out and keeps us in check from the adult world to let us know that we still don’t want to be grown-ups. That we never want to get old and just have a fun life full of adventure and fun. Heck, I opened up a comic book store so I could do the things I loved doing growing up as a kid. Disney adapted J.M Barrie’s story perfectly into animated form at a time where Disney was producing some of the best cartoon films that has ever graced the screen. And I like to think that this is one of the first Disney animated flicks that is chock full of adventure and not necessarily about a love story, even though it has a bit of that aspect to it. And since this 1953 version, there have been countless films, shows, plays, and books based on this story. Some have been good, and many have been bad. But one thing is for sure, not one project has come close to this Disney animated show. I dare anyone to watch this and not feel so good and child like after the film ends. This movie is pure magic. 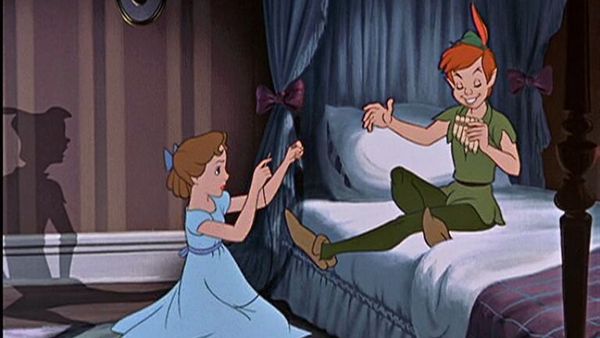 As the story goes, Peter Pan visits Wendy Darling in London looking for his shadow, which Wendy has. After some fun dialogue, Wendy and her two brothers fly to Neverland with Peter to never grow up and be free of adults. They have some adventures and laughs and meet some very fun characters and friend along the way. However, there is a very dangerous man in Neverland. A man by the name of Captain Hook along with his pirate gang. 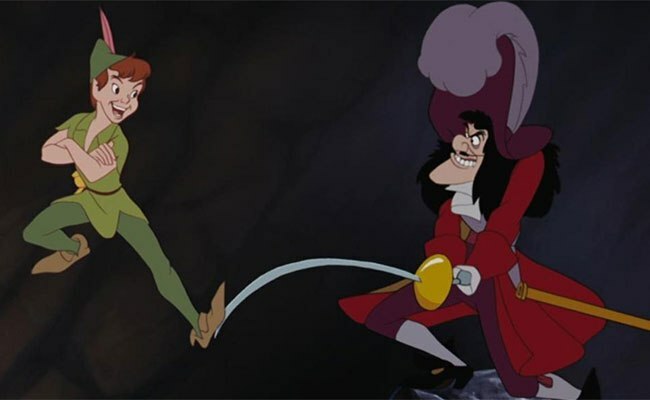 Captain Hook wants to destroy Peter Pan forever and sees this as the perfect opportunity to exact his evil scheme. This version is my favorite out of the countless ones that have come out over the years. The animation is amazing, the voice work is incredible, and the story itself is one of the best of all time. Maybe it’s a nostalgia thing, as I grew up watching this film at least twice a week growing up, but it hits close to home every time I watch it. This is a must have. The Video: Disney’s ‘Peter Pan’ comes with an exquisite 1080p transfer and is presented in 1.33:1 aspect ratio. This just looks stunning on all accounts. This animated film is 60 years old and while the animation has that 50’s feel, today’s technology and engineers have cleaned it all up and made the film like new. It was a complete new experience watching this. All of the grain and dirt has been removed, which were on some of the previous releases. The colors are very strong and pop. The color fills are smooth and sharp. The blacks are deep and inky as well. The blues and greens of the film truly do shine vibrantly on the screen. This is one hell of an HD transfer. Disney did a wonderful job here. ‘Peter Pan’ never looked this good. The Audio: This release comes with an all new and boasting lossless DTS-HD 7.1 audio mix as well as an original mono track. Listening to this in 7.1 was a thrill. Dialogue was crystal clear and easy to understand with the directionality of the mix sounding flawless. The explosions, yells, and action sequences give the speaker system a very good hard work out as it all sounds loud and uses each surround perfectly. I’ve never heard ‘Peter Pan’ sound this good before. Amazing audio transfer here. “NEW” A Darling Conversation (HD, 9 Mins.) – This is a short, although great interview with the two actors who portrayed Wendy and John (Kathryn Beaumont and Paul Collins). The discuss going to school during the animation process, acting out the scenes while artists illustrated them, and their overall memories of being on set and in the studio. “NEW” Stories From Walt’s Office (HD, 5 Mins.) – This is a little discussion on how Walt Disney loved to fly. “NEW” You Can Fly (HD, 2 Mins.) – You can listen and watch the visuals to the song. “NEW” Never Smile At A Crocodile (HD, 2 Mins.) – You can listen and watch the visuals for the deleted song. Audio Commentary — This commentary was imported from the DVD and features Roy Disney in a scripted dialogue. It also features some of the cast and crew of this film talking about their time on the flick, which is worth listening too. But, don’t expect a normal commentary track with this one. Deleted Songs and Scenes (HD, 15 mins.) — Here are some deleted storyboard concepts and art that could have been. There are also two deleted songs here too. Backstage Disney (HD, 65 mins.) — “You Can Fly: The Making of ‘Peter Pan’,” “In Walt’s Words: Why I Made ‘Peter Pan’,” “The ‘Peter Pan’ that Almost Was,” “Tinker Bell: A Fairy’s Tale,” and “The ‘Peter Pan’ Story”, are the five featurettes showcased her, which are the extras from the previous DVD release. Introduction by Diane Disney-Miller (HD, 2 mins.) — Here, Diane (Walt’s daughter) intros the film and talks about how much her father loved the work on this film. Music & More (HD, 17 mins.) — Here you get a few songs from the film as well as a music video or two. Nothing really to see here unless you’re just dying to watch music videos for a kids movie. Growing Up with Nine Old Men (HD, 41 mins.) — This is a cool feature where the children of the original animators (who are all dead now) talk about their father’s work and history with Disney. Disney Intermission — When you pause the actual film, you’ll be whisked away to Pirate Training. Arrrrrrr! ‘Peter Pan’ Sing-Along — You can click this button to add subtitle lyrics to the songs in the film, so you can your family can sing a long. DisneyView — And as always, if the black bars on the sides bother you during the film, you can access this feature to put up ‘Peter Pan’ themed bars instead. 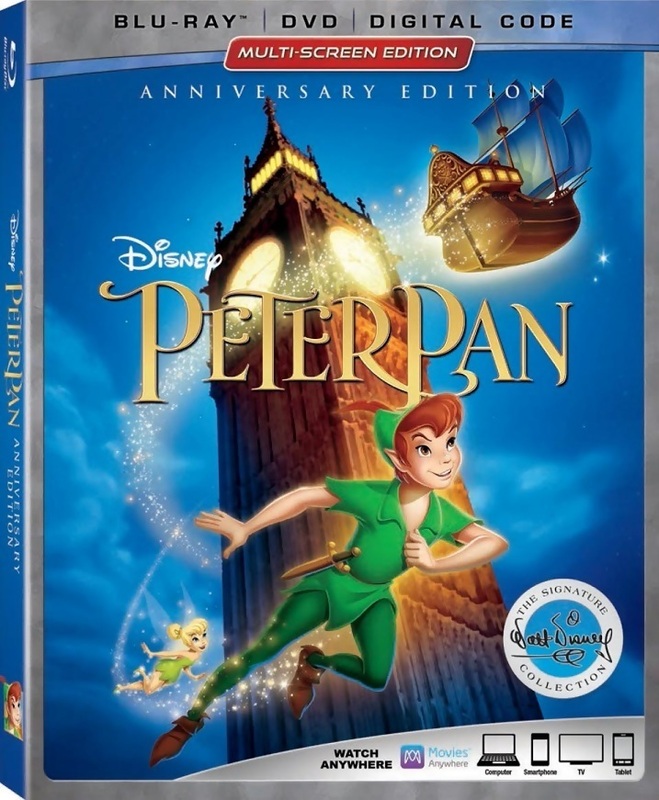 If you have the 60th Anniversary Edition of ‘Peter Pan‘ from five years ago, then you’re essentially getting the same thing with this new 65th Anniversary Edition Blu-ray. The only differences are a new cover art box and a couple of new bonus features. The same extras from the previous release are included here as are the same video and audio transfers. You still get a Digital Copy and DVD with this. So, if you haven’t already go this film in your collection, now is the time. Highly Recommended! Dragged Across Concrete – Film Review! This entry was posted on Wednesday, May 30th, 2018 at 1:29 pm	and is filed under Film, News. You can follow any responses to this entry through the RSS 2.0 feed. You can skip to the end and leave a response. Pinging is currently not allowed. « Film Review: ‘Sequence Break’! The more penises you have, the higher your rank.